St Louis Bankruptcy Attorney: Can A Collection Agency Threaten Me? The Fair Debt Collection Practices Act (FDCPA) is a federal statute that tightly regulates what a collector may do when it tries to collect on a debt (whether it is a phone call, a letter, an email, a voicemail, whatever). These restrictions put a tight reign on the industry because the collection industry has proven over time to be a sector of the economy that uses methods that most Americans deem irresponsible (hence the passage of the FDCPA in the 1970s). Some common violations would of course include things like threats made to you about your debts (“If you don’t pay this, we are gonna garnish your wages! !”), but it can also includes violations that are a bit more subtle. For instance, if the collector is going to use a rate of interest against the debt, then the collection agency must disclose that interest rate to you. If they do not disclose the fact that interest is accruing on the debt, that is a violation of your rights. Or if the collector tries to collect in the first thirty (30) days after it has sent you the initial collection letter / communication, that is a violation as well. The FDCPA states that if a collector has violated your rights, it must pay you up to $1,000 in damages. The law also states that the collector must pay all of your attorney fees as well. This means that regardless of the amount of work we do as your lawyers, you won’t pay us a dime (because whatever fees we generate, the collector has to pay them on your behalf). The best way to understand your rights is of course to set up an appointment and meet with us! 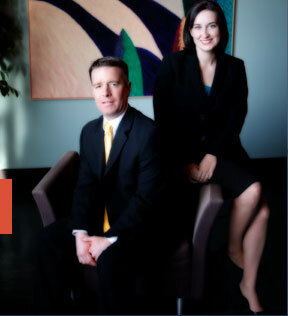 We will review your case thoroughly, answer all your questions, describe your right and options, and help guide you through the process from start to finish! !